I see that it's almost 10 years since I linked up with the forum regarding my grandfather, James Norman Lovett (Army no. 220233) - No. 2 Special Company, Royal Engineers. 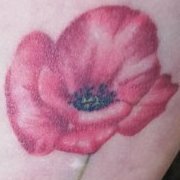 DV next Saturday, 10th November, I hope to visit the area around Ypres & Passchendaele & be at the Menin Gate for Last Post. This is an ambition I've long had. I wonder if there's anything I should look out for on my brief visit to the area (it's an organised trip with #oakhall, so I won't be able to go where I wish) that may relate to the Special Company my grandfather served in. Thanks. 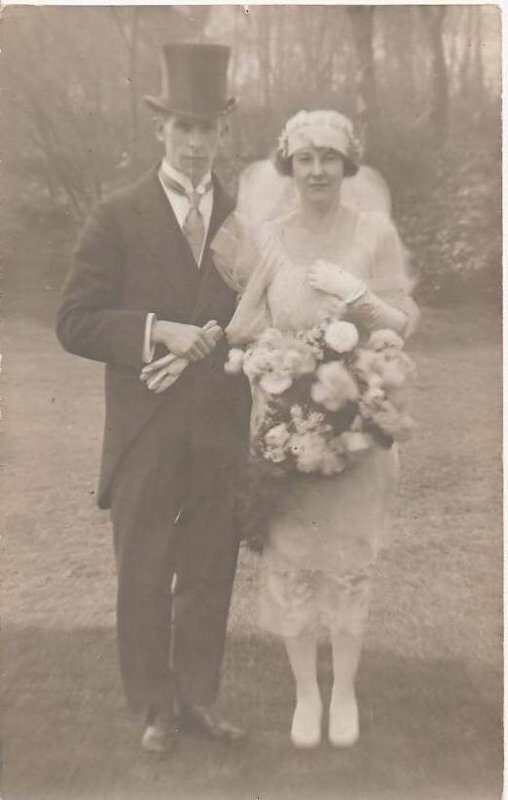 PS Attached is a photo of my grandparents on their wedding day in 1922! Thanks for this info. I guess the war gratuity would have been paid to his family? Yes, along with any other monies (unpaid wages etc) which the army held. My great grandad Lance Corporal W H Mitchell, was in k special company - we have some of his medals and some limited info but not much. I am abroad at the moment, but post his number and any details you have and I will pick it up when I get back. Hello Terry. I have recently started researching my Great Great Uncle Corporal William George Roper 120538. So far I have discovered that he served in the 1st battalion Special Brigade, RE, joined in September 1915 at Chatham having previously been in a territorial force. He was killed on 24th August 1916 and is buried at Sailly-au-Bois military cemetery. He is commemorated on the memorial at Tynemouth Municipal Grammar School - Gate (WMR 34370), North Shields and St Augustins Church Windows WW1 (WMR 34420) North Shields. Also buried at Sailly-au-Bois are four other men of the 1st Battalion Special Brigade who were also killed on 24th August 1916. They are Pioneer Louis Green 178921, Corporal John Clare Hoadley 106153, Pioneer Benjamin Newton 128061 and Corporal James Paterson 106146. I wonder if they were all killed in the same incident/operation? I have looked at the war diaries but something doesn't add up (e.g. location of operations vs burial location, reported number of casualties). I am wondering if you know anymore about William Roper or any of these other men? He was almost certainly with "A" Special Company, 1st Battalion. On the 20th they were carrying in cylinders to the front line in preparation for an operation. As you suggest, there is good possibility the men you mentioned were killed in the same incident. John Hoadley was killed by shellfire and it was was not unusual for the German artillery to bring fire to bear if movement was seen or any noise heard. He has a service record on Ancestry which shows his address as 37 Linskill Terrace North Shields. He was discharged from 3/2 Field (Northumbrian) Field Coy on 8 September 1915 to join the RE. His trade was given as gas engineer. On the 18 November 1915 he was posted to 186 Company from "M" Depot Company at Chatham. 186 Company formed the nucleus of 1st Battalion when the organisation was expanded in 1916. Thanks for posting the information about him. If I can help further let me know. Can you post his number please. It will be on the edge of his medals. Sorry I missed your post,, I was abroad when you posted it. Hope you had a good trip and thanks for posting the photograph. He does have as service record, if you haven't seen it let me know and I will post the details. I am researching a WW1 project finding out about gallantry medal holders who survived WW1. One individual who has come to my attention is Charles Wilkinson who was awarded the MC in 1917. He was transferred from the Cheshire Regiment to Royal Engineers Special Brigade. I was wondering if anyone had come across him or could tell me more about what he may have done? A local paper sites that he was 'severely gassed' at Loos in April 1918. He was from Runcorn so I think he must have had a connection to the chemical industry here and perhaps that is why he was transferred to the Special Brigade. Any help would be most welcome. Many thanks, Allison. Charles Wilkinson was a works chemist. He served in the ranks of 10 Cheshires with the number 14969 before transferring to the Special Brigade with the number 113260 on 25. 8.15 and landed in France on 7.9.15. He was almost certainly present first the first British gas attack at Loos serving with either 186,198,188 or 189 companies, possibly one of the latter two. He held the rank of Warrant Officer Class 2 before he was commissioned as a Temp 2Lt RE on 6.6.17 He was promoted to Temp Lt RE on 6.12.18. He served with "L" Special Company after being commissioned. He was wounded on 8 April 1918 and rejoined his company on the 27 April 1918. His MC appears in a supplement to the London Gazette on 3 June 1916. This was a King's Birthday list and in the absence of a citation it was for good work over a period of time rather than an act of gallantry. He was demobilised on 9 May 1919. He was in charge of no 52 Section releasing gas from cylinders or using the Livens Projector a form of mortar which was electrically fired, the bombs containing various gases, oil or high explosive. He has a personal record at The National Archives, file number WO339/117636. This is not available on line and will require a personal visit.